Not to be confused with Royal Clarence Hotel. 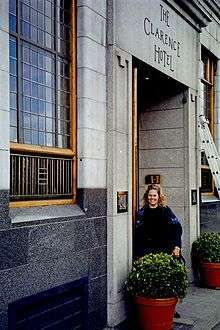 The Clarence Hotel is a four-star 51-room hotel located at 6–8 Wellington Quay, Dublin 2, Ireland. It is in the Temple Bar neighbourhood, on the River Liffey. It was built in 1852, and bought by U2 lead singer Bono and lead guitarist The Edge and their business partners in 1992, and later refurbished. In 1992, Bono and U2 lead guitarist The Edge bought and later refurbished the two-star 70-room hotel, and converted it into a five-star 49-room hotel. After an 18-month renovation costing US$8 million, enabled in part, due to a tax-exemption scheme which aimed to revive the Temple Bar district the hotel re-opened in 1996. The hotel is now owned by Brushfield Ltd, a company which also includes Derek Quinlan and developer Paddy McKillen. The hotel currently has six floors. The hotel provides a Concierge desk, Bar, Restaurant, Meeting facilities, Wi-Fi, Safe, Room Service, Access to a gym, and laundry service. The main restaurant, Cleaver East replaced The Tea Rooms in July 2013. In 2004, plans emerged for a major expansion of the hotel, which would include adjoining properties 9 Essex Street and 9, 10 and 11 Wellington Quay. The project architect is Norman Foster. All of the historic buildings would be gutted, leaving just the façades. Everything else would be new. The budget is projected at US$237.2 million. There has been strong opposition from historic preservation groups including An Taisce, but support from some city agencies. One critic said that "The Clarence demolition is an old-fashioned money-driven, anti-environmental exploit," adding that "Bono is behaving like just another private-jet-addicted property speculator feeding on Ireland's greedy zeitgeist." The proposed project was approved in 2008 by An Bord Pleanála, the Irish planning appeals agency. As planned, the expanded hotel would have nine floors and 150 rooms. Featured would be a large glass atrium with an oval glass roof to allow sunlight to enter, plus a "sky bar" at the top of the complex, allowing views across Dublin. The project was on hold for several years but has been revived. The hotel lost money during the worst recession years, but is now profitable. In September 2000, a month before the release of the U2 album All That You Can't Leave Behind, a live version of the song "Beautiful Day" was filmed on the rooftop of The Clarence Hotel for the BBC programme Top of the Pops. It is featured on the extra features of the Elevation 2001: Live from Boston DVD (although it is marked on the DVD as "Toronto, Canada"). ↑ "An 1852 Dublin Hotel Reopens, Redone". New York Times. 6 October 1996. Retrieved 1 July 2013. ↑ McDonald, Henry (2 December 2007). "Building plans give U2 hometown blues | World news | The Guardian". The Guardian. London: GMG. ISSN 0261-3077. OCLC 60623878. Retrieved 5 July 2013. revitalised thanks in part to a tax-exemption scheme. 1 2 Lyons, Tom (21 April 2004). "Bono aims to double size of Clarence Hotel". Irish Independent. Dublin. Retrieved 1 July 2013. 1 2 3 Doyle, Dara (25 February 2008). 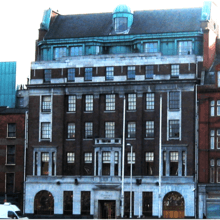 "Bono's Dublin hotel plan pits rocker against preservationists". New York Times. Retrieved 1 July 2013. ↑ "U2 hotel revamp gets green light but only if rooftop is open to all". Belfast Telegraph. 18 July 2008. Retrieved 4 July 2013. ↑ "U2's Clarence hotel sees losses rocket". Belfast Telegraph. 27 September 2010. Retrieved 1 July 2013. ↑ Deegan, Gordon (15 October 2011). 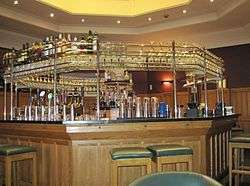 "Bono and the Edge help Clarence Hotel back to profit". Irish Examiner. Retrieved 4 July 2013. ↑ > Cubillo, Carolina (Director) (7 December 2009). Callejeros Viajeros [Street Travellers] (Television production). Ireland: Cuatro. Wikimedia Commons has media related to Clarence Hotel.